Full Service Florist. Serving Odessa, South Tampa, Temple Terrace, Land O Lakes, Wesley Chapel, Town & Country, Lutz, New Tampa and West Chase. Family owned and operated for 25 years. Family owned & operated. We can create, design, & deliver smiles !! Arrangements for all occasions. Serving all hospitals & funeral homes. Full service florist, satisfaction guaranteed. Family owned and operated for over 20 years. 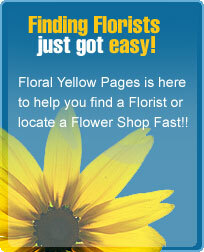 Specializing in tropicals, weddings, funerals, and much more. We are the shop for custom and unique arrangements. Full Service Florist. Satisfaction Guaranteed. Family owned and operated. National floral designer on premise. Specializing in unique and custom designs. Voted best of Brandon for 11 years. Flowers for all occasions. Serving all hospitals and funeral homes.